The Cat Footwear Delve boot is appropriately named. The word ‘delve’ means both to dig and to research or explore. Presumably, Cat chose this name as a reference to their digging machines, but apart from their machinery heritage, these boots are made for exploring and traveling in style. The Delve boots from Cat Footwear are ankle length and made of a combination of leather and suede. 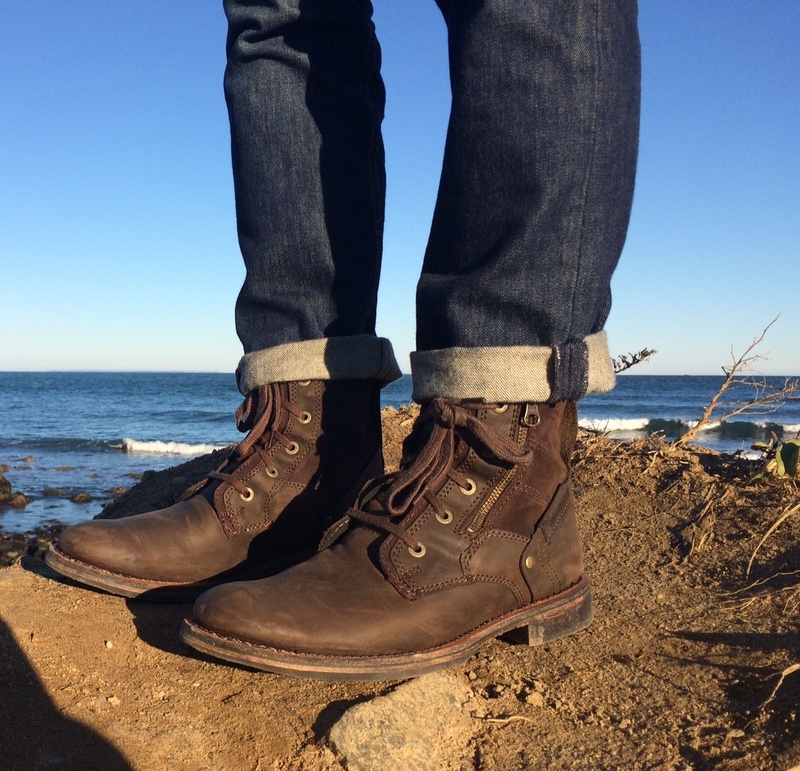 They have solid soles and an overall vintage feel that goes with almost anything. I’m reviewing the Cat Footwear Delve boot in size 9 in the color ‘Bitter Chocolate’. They also come in ‘Bossa Nova’, which is a lighter brown color. So far, I’ve tested these boots in all kinds of environments. 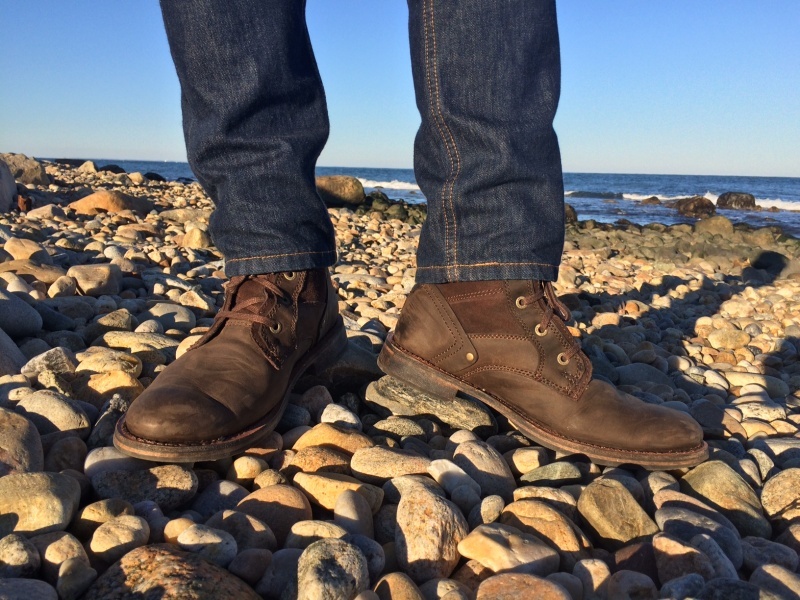 The images of the boots in this review were taken in Montauk, NY at the tip of Long Island. I’ve also worn them during trips in NYC, including visiting the Met Museum which involved a lot of walking and standing. After wearing the boots for a bit, they have some scuffs here and there which add to their vintage look. I’m probably going to apply some Nikwax or some other leather protector, although it isn’t completely necessary. The side zippers add a bit of pizzaz to the shoes and also serve a practical purpose. By unzipping the zipper, I’ve been able to slip the boots off without having to untie my laces. (It only works if your laces aren’t very tight.) This is very helpful if you’re needing to quickly go through airport security. 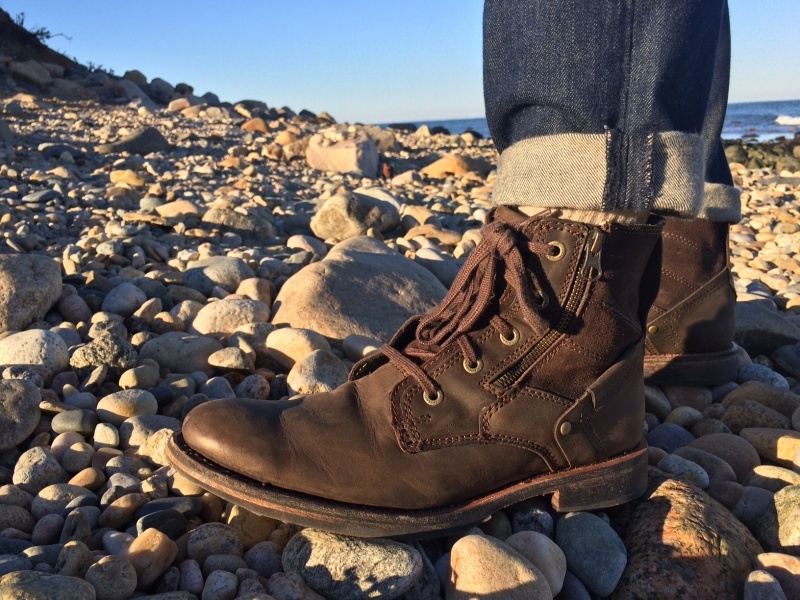 You can wear these boots with denim, or even khakis. 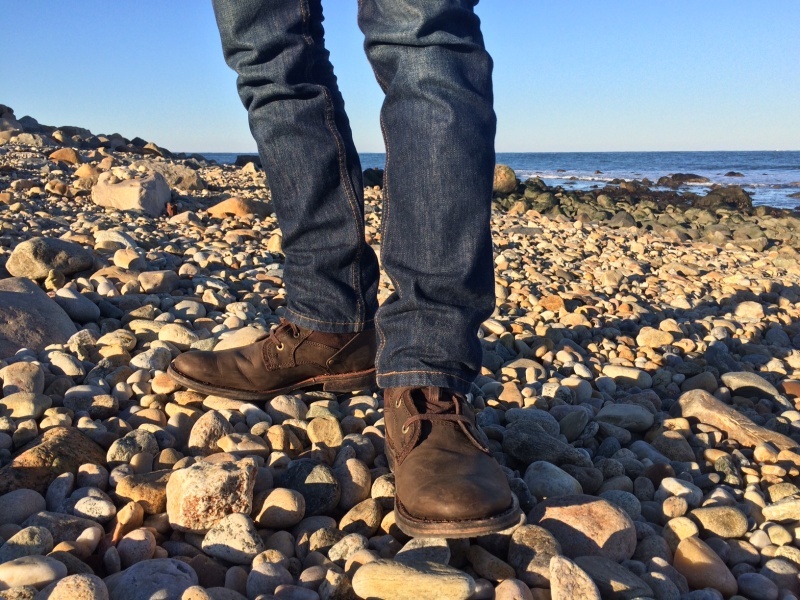 In the images, I’m wearing the boots with Levi’s 511 jeans. You can roll the jeans up or keep them down, either way works. The Delve boots are very similar to the Abe Canvas boots. In fact, they have the same exact soles. The main difference between the two is that the Abes have canvas and the Delves have suede. There are also a lot of other differences like the laces, colors, and other details. As an owner of both, I wouldn’t say either is better than the other, it’s all up to personal preference. The Delve boots fit true to size and have a normal width. I’ve weighed a pair of these boots in size 9 to be 3 lbs. 4 oz. Although the Delve boots have the same sole and sizing as the Abe Canvas boots, I feel that the Delves are a bit more comfortable. 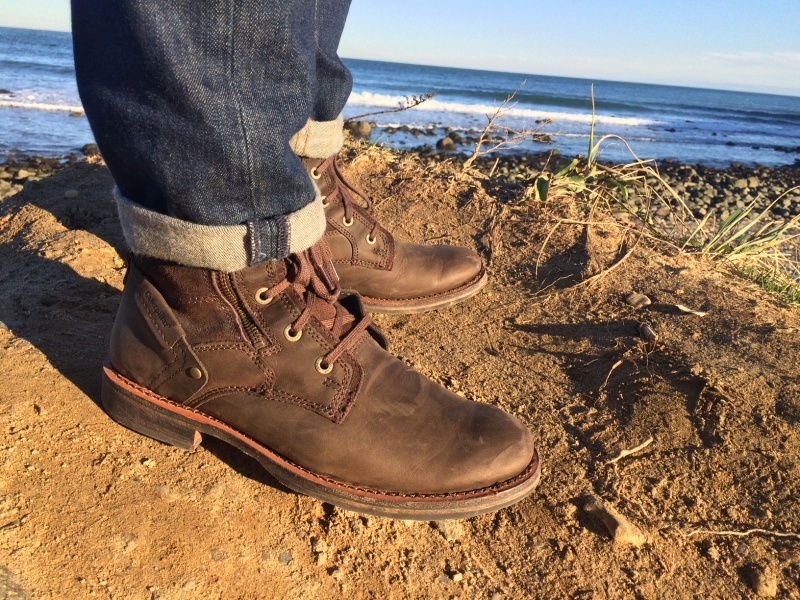 The Cat Footwear Delve Boots combine both style and versatility. 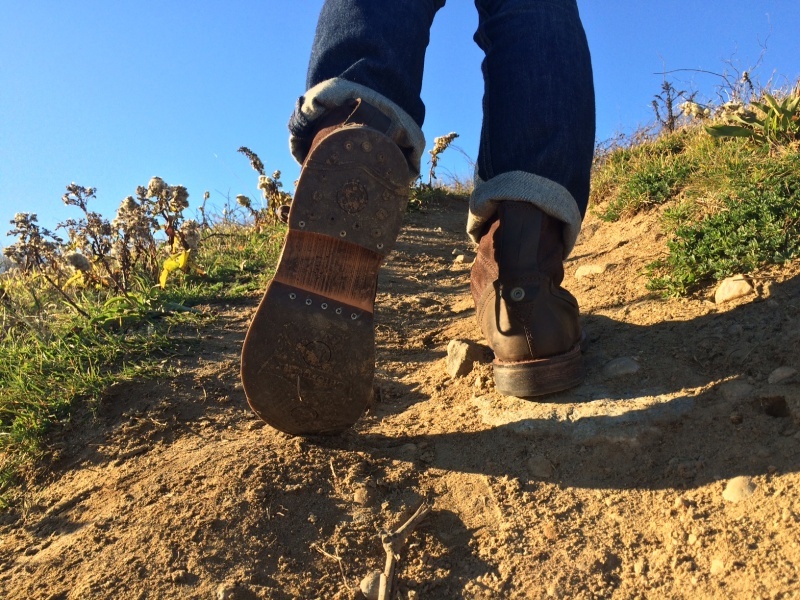 Durably built, they can handle the rigors of travel and even the impromptu hike. You can find the Delve boots for retail $160 although you can get them on sale over at Amazon.com. Have any comments or questions about the Cat Footwear Delve Boots? Leave a comment below.